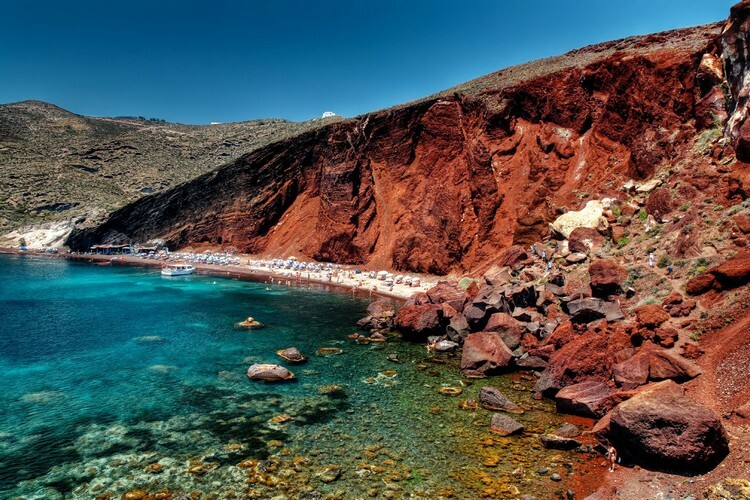 If you visit Santorini (Σαντορίνη) and want a different beach experience you should definitely visit Red Beach (Κόκκινη Άμμος) in Akrotiri. Contrast colors are its main characteristics. The bright turquoise of the sea and the red volcanic cliff next to each other bring wonderful and breathtaking views. We believe that this beach is the most impressive beach in Santorini. If you are looking for available accommodation in Santorini, you may check Booking.com.